Exhibition on the occasion of the 80th birthday of gmp founding partner Meinhard von Gerkan / Five decades of sketches and drawings / Architecture Pavilion as exhibition and events venue. 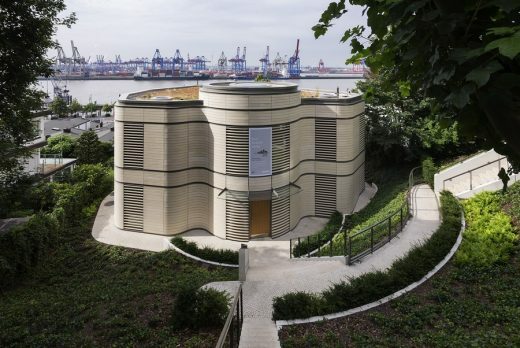 On Sunday, 5 July 2015, the first exhibition was opened in the new Architecture Pavilion at the Elbhang between Elbchaussee and Oevelgönne museum port in Hamburg in front of 300 guests. 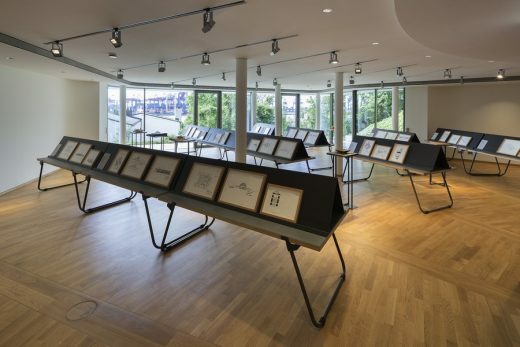 Under the title „Lines of Thought – Meinhard von Gerkan – 50 years of architecture in drawings and sketches“, the drawings produced by Meinhard von Gerkan will be on view every Thursday until the 6th of September. The Architecture Pavilion – commissioned by von Gerkan – was itself opened jointly with the exhibition. The double opening falls into an important year for gmp; 2015 is the year in which gmp will have been in existence for 50 years, and it is also the year in which von Gerkan celebrated his 80th birthday in January. 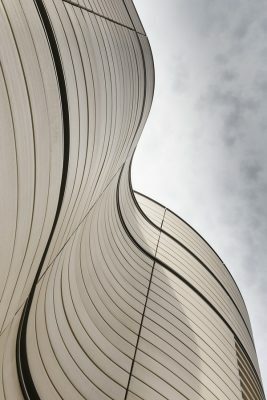 The „Lines of Thought“ exhibition looks back over the last 50 years of gmp architecture, but most importantly pays homage to an architect who, to this day, develops his designs with the help of sketches. 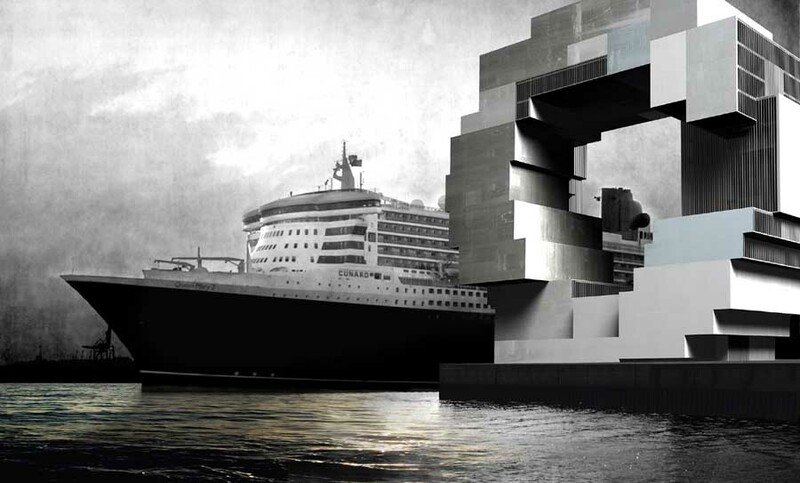 It is also intended as a plea for architects and designers to be able to put ideas and conceptual thoughts manually on paper, in spite of the ubiquitous proliferation of digital design applications. From an archive of far more than 3,000 sheets, curator Michael Kuhn, Head of Communication at gmp, together with Meinhard von Gerkan, selected 125 originals relating to 39 projects. 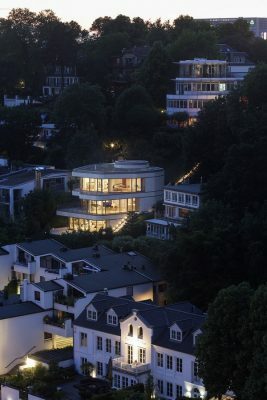 Kuhn is also the editor of the accompanying catalogue, to which architectural historian and journalist Gert Kähler has contributed the texts. The sketches selected are primarily those that exemplify von Gerkan’s ability to use just a few significant hand-drawn lines to capture the core and character of even very complex projects. In addition, the exhibition focuses on designs that exemplify the work, the development and the milestones of the practice. Therefore, the exhibition typically includes the first drawings for the design of Berlin Tegel Airport – the project with which the practice’s history began – as well as those for Berlin’s main railway station. 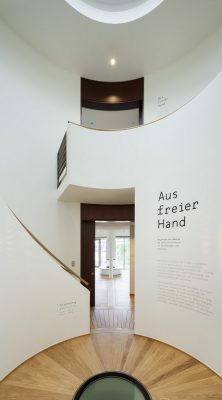 The sketches are exhibited on three levels in the new Architecture Pavilion designed by Meinhard von Gerkan. 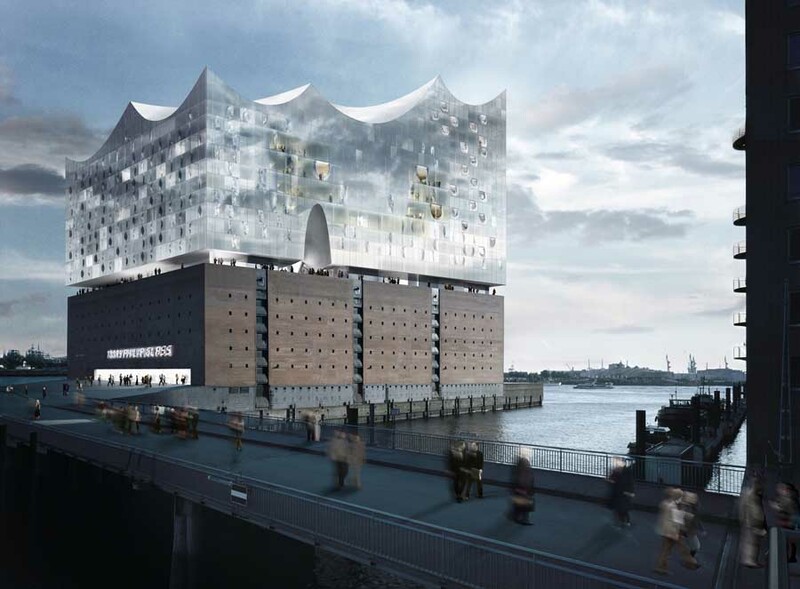 The building is as spectacular as its position on the Elbhang, below the main gmp address at Elbchaussee 139 and above Oevelgönne museum port. 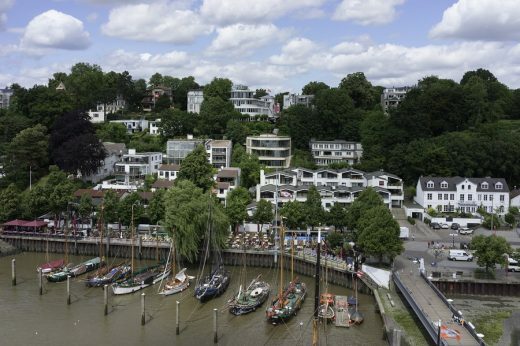 Access to the Pavilion is via the „Övelgönner Mühlenweg“ footpath that leads from Elbchaussee down to the bank of the River Elbe. 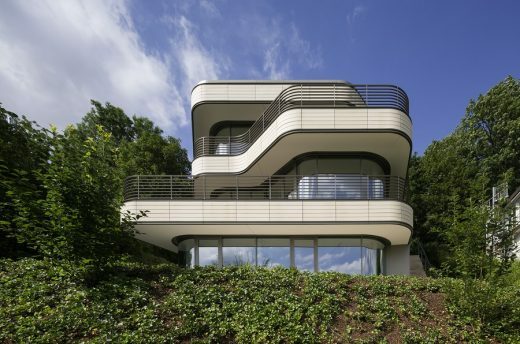 The compact building faces north, where a terraced garden has been established using the topography of the terrain; on that side, which faces uphill, there are few windows, while on the south side facing the River Elbe there are large room-high windows and a range of generous terraces. 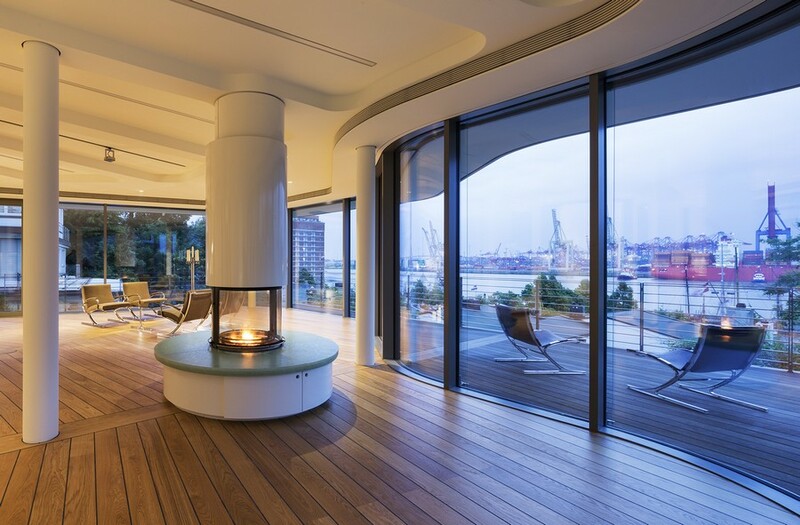 All three stories are accessed via a shared entrance area on the first floor, although separate staircases leading to the basement and the second floor make it possible to accommodate different uses. The use concept of the Pavilion is fully focused on architecture, its presentation and dissemination. The large room in the basement will accommodate the collection of architectural models that have been created by gmp over the decades, making them accessible to the public as a permanent exhibition. The two units above have been designed for multifunctional purposes; they will be used for changing exhibitions, events and also workshops. The top floor also includes rooms for work, which can also be used to accommodate guests.